The book ranges across time and topics, from the Parthenon to the present day and from patronage to ethnicity, to reveal art history in new and varied lights. 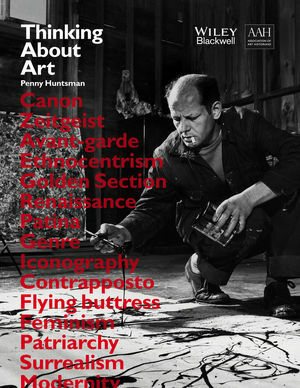 With over 200 colour illustrations and a wealth of formal and contextual analysis, Thinking about Art is a companion guide for art lovers, students and the general reader, and is also the first A-level Art History textbook, written by a skilled and experienced teacher of art history, Penny Huntsman. Penny Huntsman has taught A level History of Art for 15 years and is currently Head of Art History at Farlington School, Horsham, UK. She has an undergraduate degree in History of Art, an MA in Cultural and Critical Thinking, and is embarking on a PhD in Educational Pedagogy. Thinking about Art is co-published by the Association of Art Historians: the AAH is dedicated to promoting the professional practice and public understanding of art history.